Luckless, aka Ivy Rossiter, hit Manchester for the first time since her 2015 performance at A Carefully Planned Festival on Saturday night, playing an intimate show in the lounge room at Gullivers. We caught up her playing songs from her last album Vindication Blues as well as songs from her next record, hopefully due out in 2017. 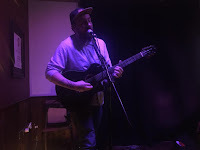 Support came from Sheffield's Thomas And The Empty Orchestra and Katie O'Malley. 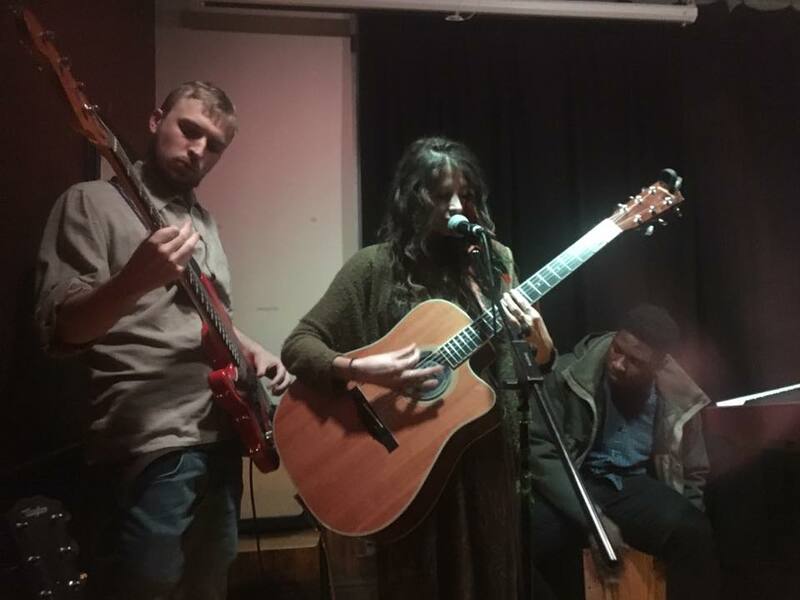 The first act we catch is Katie O'Malley and, due to space constraints, half of her usual band. Her six song set includes a great cover of First Aid Kit's My Silver Lining, but it's a couple of her own songs that stand out. Back Again, which she claims isn't an angry song even though it does sound like it when she sings it, and a new song at the end of her set called Gotta Love make great use of her rich expressive vocals. There's hints of folk, country and a soulfulness to her voice which the stripped back instrumentation of acoustic guitar and keyboards allow to fluorish in a well-received six song set. Next up is Thomas And The Empty Orchestra is the solo project of O Captain's lead singer Thomas Bower. Every song he plays feels like a catharsis, an expulsion of pent up emotions, feelings and aggression, yet he does it in a way that you just want to give the guy a hug. Songs like his forthcoming single A More Equal Punishment and Last Orders On Ladies Night are intense tales, set to a fiercely strummed acoustic guitar and a stomp so hard you feel for the raised floor of the improvised stage, but as he insists that we all stand close and sing along A New Year with him at the tops of our voices. Ivy's (for she is Luckless) tales have a similarly intensity, built from just a guitar, a pedal and effects box and a life of a traveller from her native New Zealand to Berlin where she currently lives when not on a one-woman mission around Europe to spread the word of her music. Her set draws from her 2014 album Vindication Blues as well as from an as-yet-unrecorded third album that she hopes to release in 2017. She opens with two songs from Vindication Blues - its opening song Telephone Song and its lead single When You Asked Her To Stay - and they both create a tension and intensity that you could cut through with a knife, whilst Road Retreats and the set closing Better Than Being Blue feel even more spine-chillingly raw and personal in this stripped down exposed environment. Ivy's lost in the music, in the stories that she's sharing with us, a contrast to the warm chatty personality between the songs. She takes the time out to explain the meanings behind some of them too, including a tale about recording an album about Antarctic exploration, impressing us with her knowledge on the subject to explain a reference to cocaine in the eyedrops to protect against snow blindness. That powerful feeling that ran through Vindication Blues is also present in the new material. Get Lucky is a critique of her experiences of Tinder, the song that follows it is set at "four in the morning" and feels as if it's held together by the thinnest of emotional cords. Friend Or Foe, the song with the cocaine reference, crackles into life with clever trickery in the pedals whilst The Trouble With You, a song about "being with someone who made you think you were going insane", isn't quite as claustrophobic in its presence as the others, but loses none of its impact in the process. 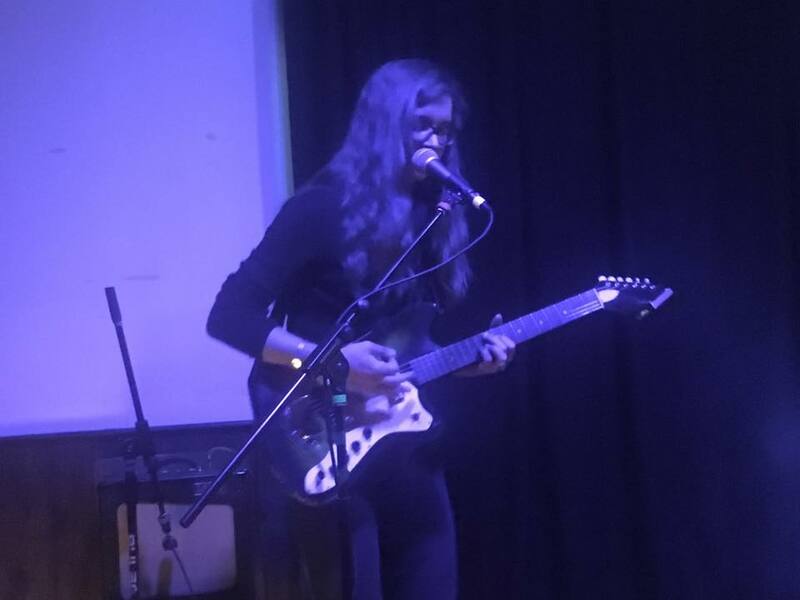 Hopefully Ivy will be back in Manchester next year with the new record in hand (she tells us that this is one of her favourite cities) and we'd urge you to go and see her when she does or catch one of the other shows she's playing locally. This is music in its purest, open and honest form, uncomfortable in just how revelatory and on edge it is when an artist is lost in their performance, but that's when music is at its most powerful in our view. Katie O'Malley is on Facebook and Twitter. Thomas And The Empty Orchestra are on Facebook. Luckless play West Malvern Social Club (14), Brighton Marwood Coffee Shop (15), Swindon The Victoria (17), Yarm On Tees The Waiting Room (20), Edinburgh Bannermans (21), Birmingham Sunflower Lounge (22, with She Makes War), London The Islington (23, with She Makes War) and Bristol Louisiana (25, with She Makes War).